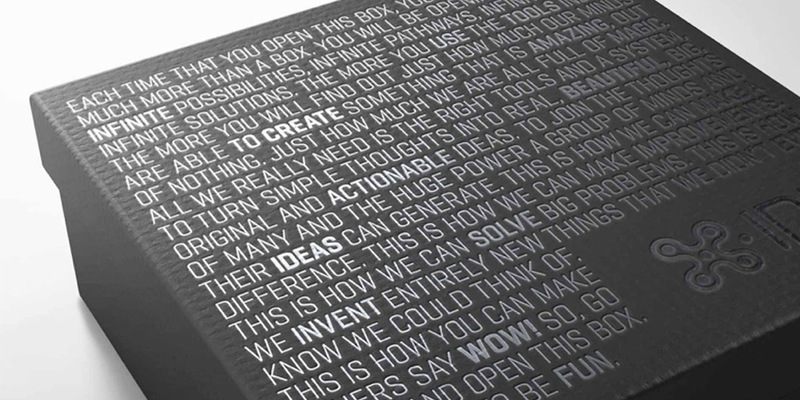 The prime system created by Thinkergy for reliably producing creative, innovative and actionable ideas. Learn how to design, develop and launch the solutions of the future. X-IDEA is Thinkergy’s Know How of Wow! A proprietary innovation method that helps you produce more meaningful, innovative ideas and results. By following our systematic thinking process you will discover new insights, develop fresh ideas, and create innovative solutions to any challenge. Using powerful Xploration tools (such as power questions, perspective shifts, visualization tools like concept mapping, and reality checks) you will gain novel insights on your challenge. The result of Xploration is a deeper understanding of what really is the problem — or opportunity — you face. Here we unleash our minds to Ideate and Imagine a high quantity of raw ideas for your challenge. We do this by engaging a series of powerful Thinkergy Creativity Tools, classic creativity techniques (such as Brainstorming, Random Word, or Metaphors), and special facilitation methods. In the third stage we Discover intriguing raw ideas that were initially created and Develop those into more meaningful, relevant ideas for your challenge. Our specialized Thinkergy Development Tools (such as Get Real, Yin and Yang, or Ding Dong) systematically lead our clients from initial ideas to refined, pitchable concepts quickly and effectively. Developed idea concepts are then evaluated using Evaluation Tools (such as Balance Sheet or Plus, Minus Interesting). Idea Enhancement Tools are applied to mitigate or eliminate all any negative aspects. Finally, the most relevant, promising ideas with high idea potential and implementation feasibility are selected. It takes Action to bring your best ideas to life. Here focus first on the Act of how to effectively sell the value and key benefits of your idea to critical supporters (such as superiors or possible financiers). Then, direct the support gained towards Activating your ideas by specifying key parameters in a project activation plan. "X-IDEA is like Design Thinking on steroids!" There is so much more to X-IDEA than meets the eye! In the design of X-IDEA, we included a number of special features that both make going through an innovation project seem well-structured yet fun for the project participants. More importantly, Thinkergy elevated these special design features into an easy-to-learn “cheat-note system” that enables our X-IDEA Innovation Guides to maneuver the complexities of a messy innovation project with confidence and ease. X-IDEA won a major international award for its practical implications for technology as sponsored and selected by the Global Head of Ideation and Innovation Management of Nokia Group at the ISPIM Asia-Pacific Innovation Forum 2014 in Singapore. 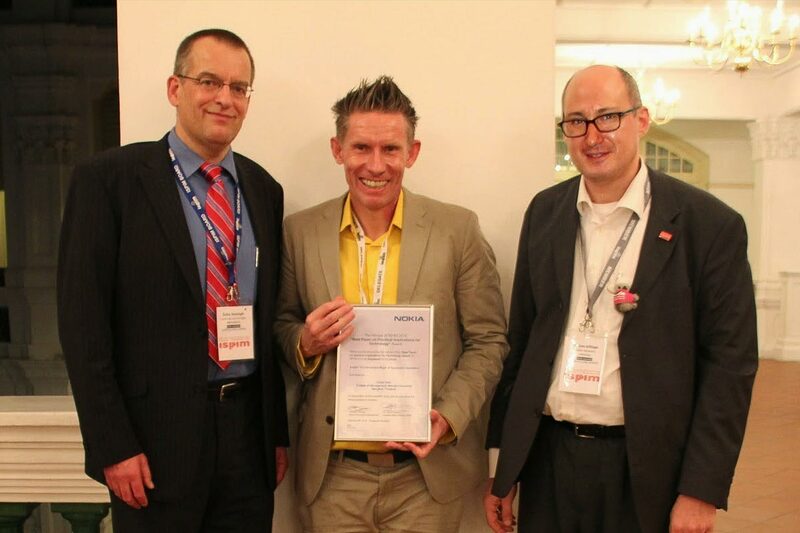 An academic conference paper of Dr. Detlef Reis, on the inner workings and benefits of the X-IDEA Innovation Method & Toolbox won the Best Paper on practical implications for Technology Award of Nokia at the ISPIM Asia-Pacific Innovation Forum 2014. The X-IDEA Toolbox initially contains 132 different tools. While walking you through the five process stages of the X-IDEA Innovation Method, we select the most appropriate thinking tools and creativity techniques from our X-IDEA Tool Box for your specific project. We offer our clients three delivery routes to our Wow Know-how, each one catering to different client needs and budgets: Training, Projects and Licensing. The most common entry point to X-IDEA is booking one of our highly energetic X-IDEA Training Courses to train key members of your company or organization in the Know-How of Wow. Whatever innovation project you want to pursue — book a X-IDEA Project, and we and our creative tool kit enable you to innovate and quickly get systematic innovation results. For large or multinational corporations with more comprehensive and regular innovation needs, the best way to get repeated innovation results may well be to insource our X-IDEA expertise. Thinkergy led a multidisciplinary team from BMW’s Research & Innovation Center in Munich, in an X-IDEA Innovation Project, aimed at developing new concepts for the interiors of their luxury cars for Asia.